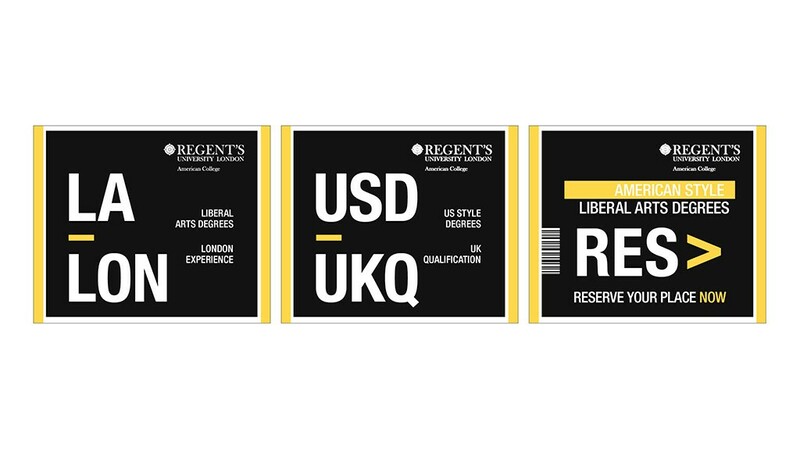 Whilst working at SERIOUS I was heavily involved in creating this Liberal Arts campaign for Regent’s University London, progressing from concept to final execution within a week. 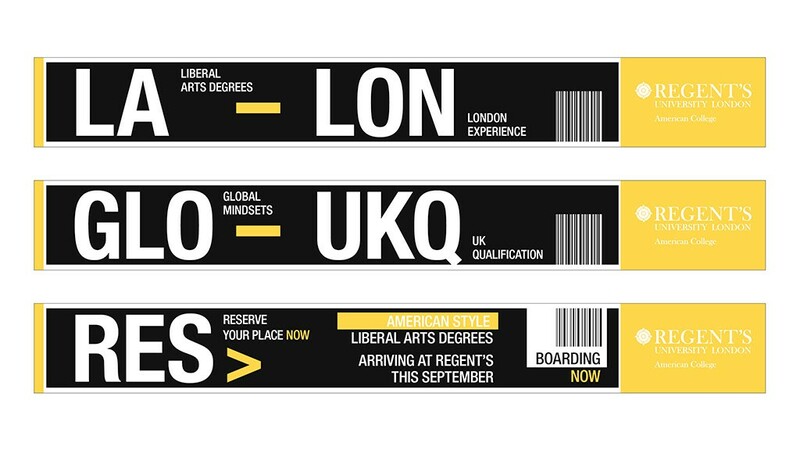 Aimed at pushing the international appeal of the university, this baggage label approach was created for optimum impact. 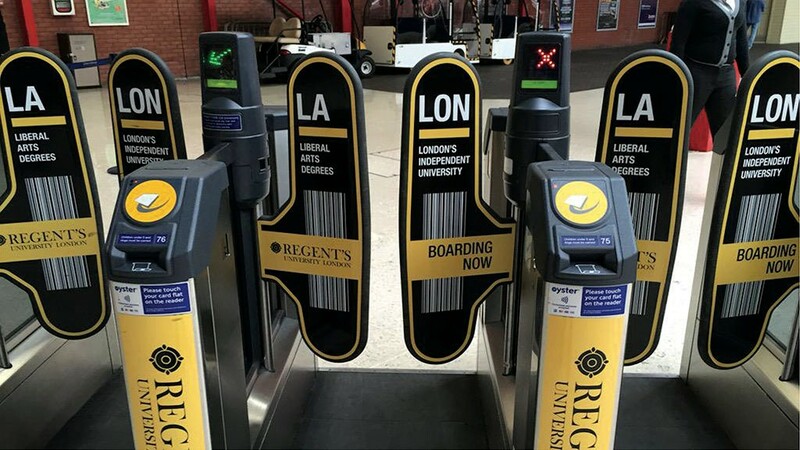 Shown below are MPUs, a sign-up email template, platform gate designs at Marylebone and website banner ads. 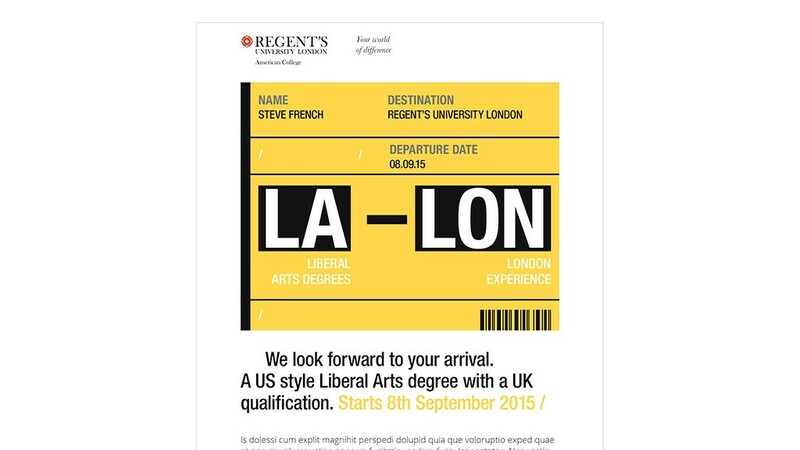 You can also view this work on the SERIOUS website.